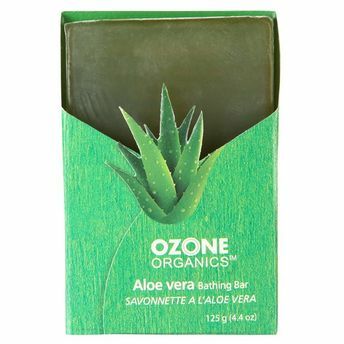 A natural skin moisturizer, Ozone Organics Aloe Vera bathing bar is all about healthy skin and that beautiful sparkling glow. It provides a protective layer to the skin which helps retain moisture keeping the skin youthful. Aloe is also rich in antioxidants and minerals which can help speed healing, and it softens the skin without clogging pores. Rich in vitamins C and E, Aloe Vera has many anti-aging qualities. Its ability to lighten blemishes also helps in taking years off your face. So you'll always look the way you feel, refreshed and relaxed. Explore the entire range of Soaps available on Nykaa. Shop more Ozone Herbals products here.You can browse through the complete world of Ozone Herbals Soaps .